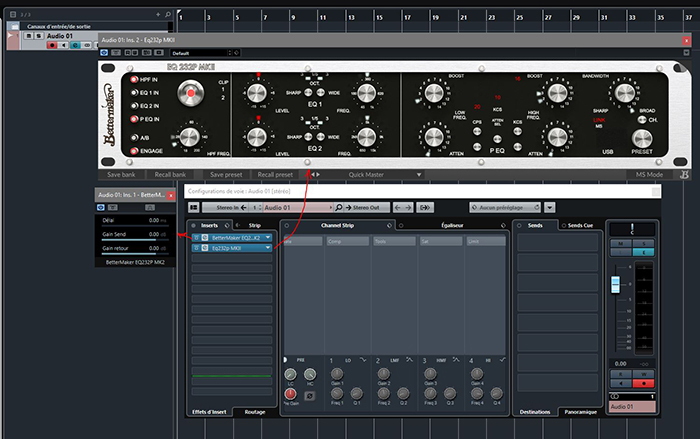 To integrate an external gear on cubase, we must to setup in/out linked the gear on vst connection without any other option. Today we have some new great analog gear from Tegeler audio manufaktur and Bettermaker (compressors, eqs and others) managed by digital and VST plugin. It will be great to associate an existing vst plugin (or to have the possibility to create one via a new interface) with our real hardware on vst connection ! Goal is to have only 1 VST plugin with all the options for the external gear and not 2 plugs like actually (1 generated by vst connection). I don't understand what you're saying, could you be more specific?